Hey dolls! Sorry for the wait on announcing the winner of this giveaway. I was in Las Vegas for a week long work trip and ever since I returned its been mad chaos. Most you know, I own and operate a nutrition business full time and this blog was something I started on the side as my creative outlet. I’ve had a few opportunities come my way with my nutrition business that I am extremely excited about, so I’ve decided to take those opportunities and go for it! I will be blogging as often as I can, but doing both full time right now is impossible for me! I wish we had more than 24 hours in a day, dont you? Well enough about me and my crazy chaotic life! This post is about my 3.1 Phillip Lim for Target handbag giveaway and the WINNER is…drum roll…. Cynthia (1smileygirl)!!! Winner winner, chicken dinner for Cynthia 🙂 I hope you enjoy your bag as much as I have been enjoying my own! 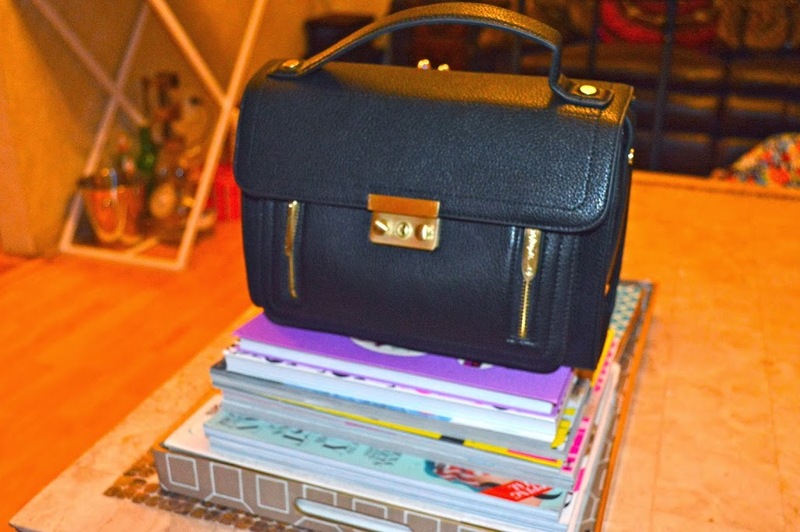 I can’t wait to see pictures of how you style your gorge new bag! P.S. If you would like to keep up with my daily shenanigans, make sure to follow me on IG @chicstylebysage or my journey in the nutrition/fitness business @fitbods_bysage. I hope you all have a fab weekend!! I am so excited and can’t wait to start using it! !